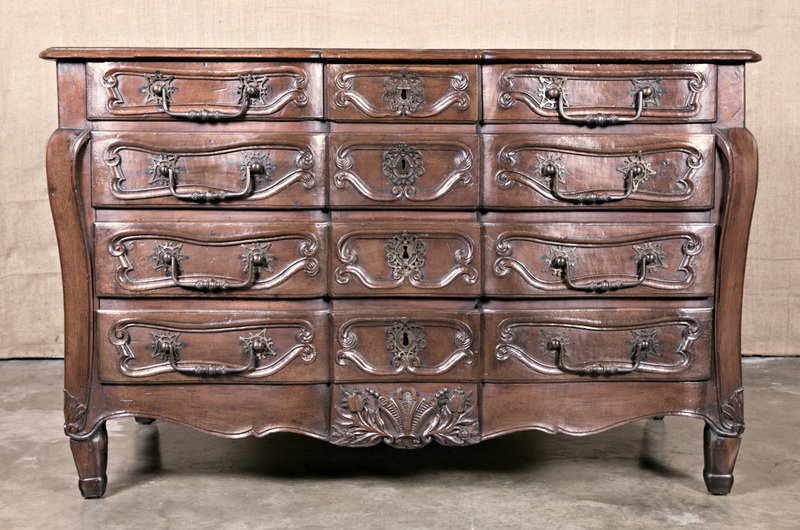 Rare 18th century period French Louis XV commode having three small top drawers over three single drawers with faux drawer facades. Circa 1730s. 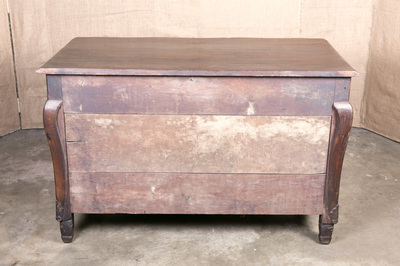 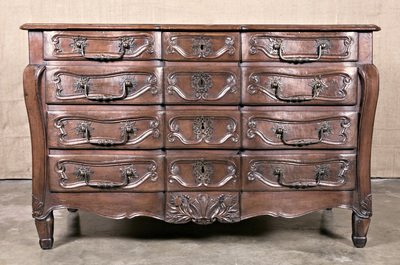 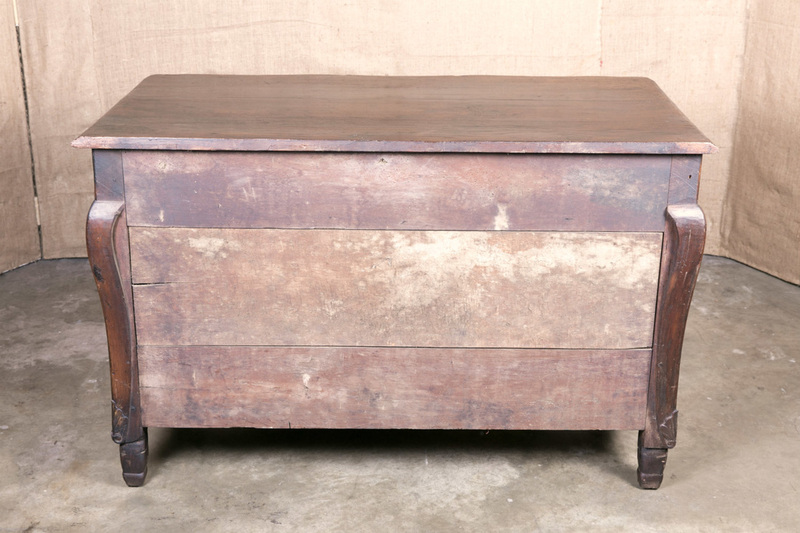 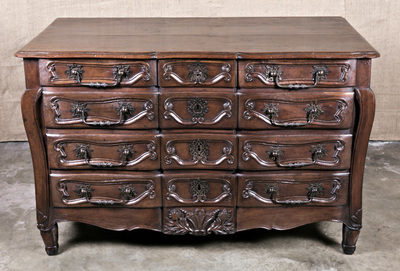 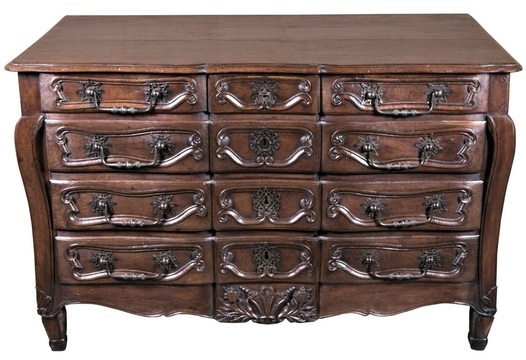 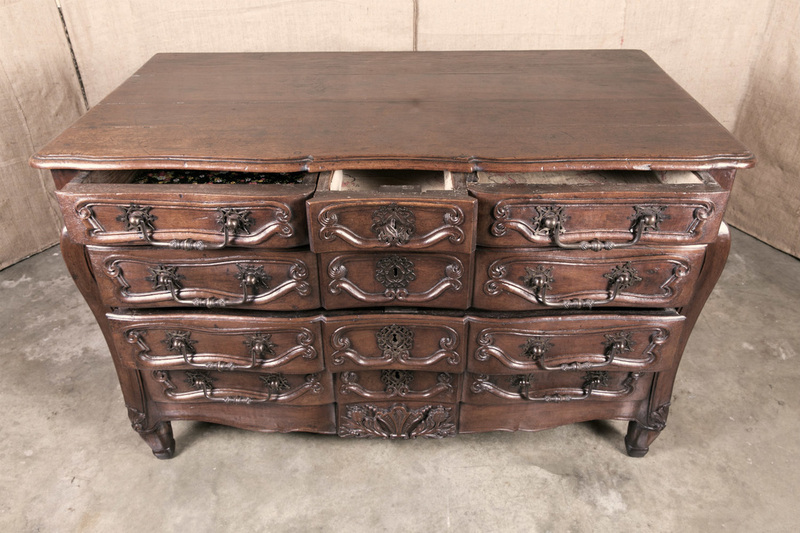 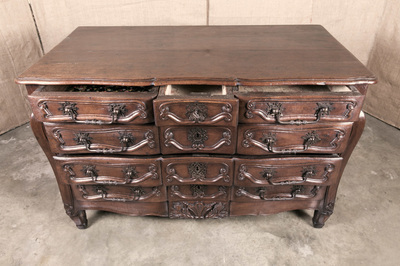 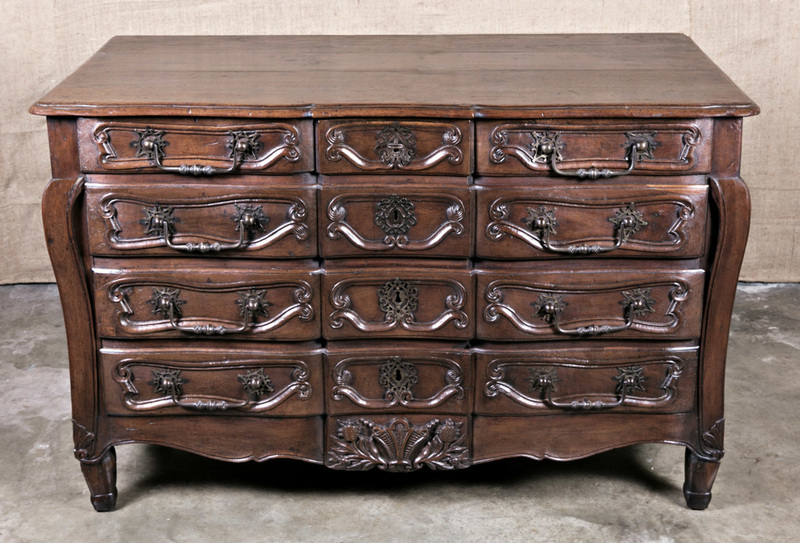 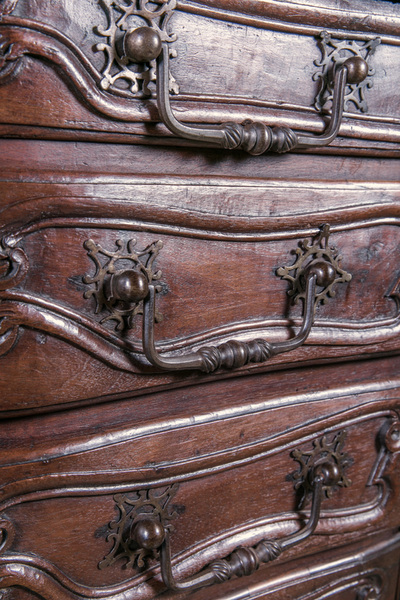 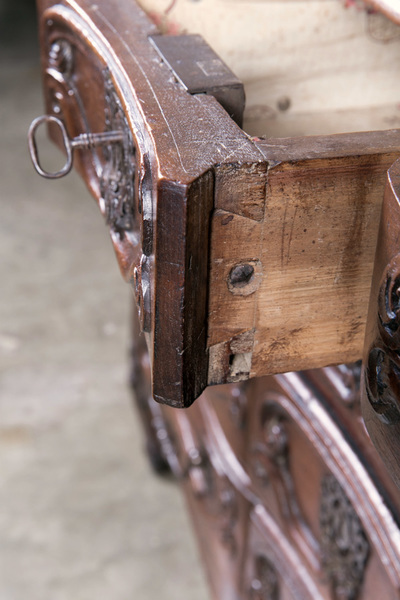 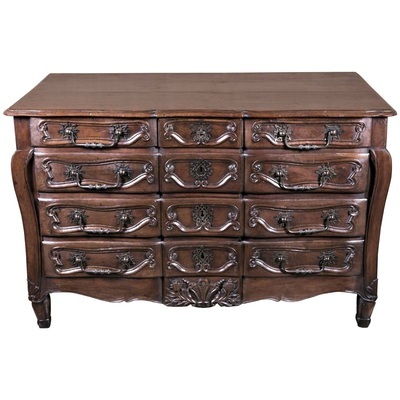 Original hand forged iron handles and escutcheons adorn the fronts of each drawer. 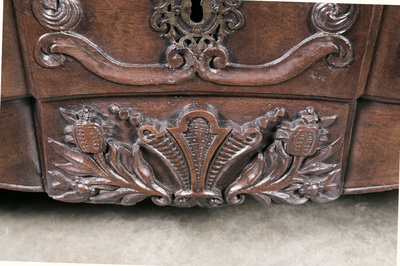 Sides are paneled and there are acanthus leaves, c-scrolls and stylized flowers and tendrils at the base. Resting on four short cabriole legs terminating in pieds de biche. 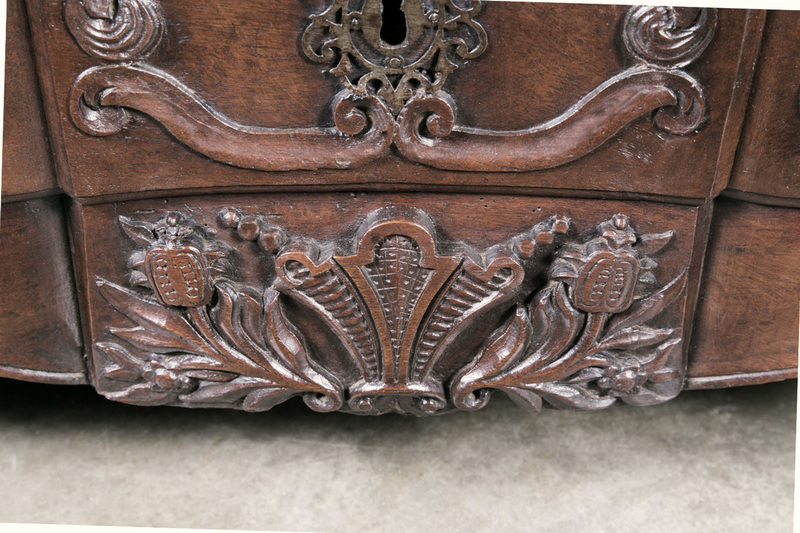 This beautifully carved commode from the port city of la Rochelle is handcrafted of French walnut and has a lovely aged patina. 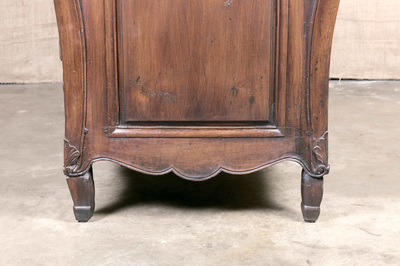 It's a very rare example of a commode that has both a galbe (curved) and arbalete (crossbow) front. 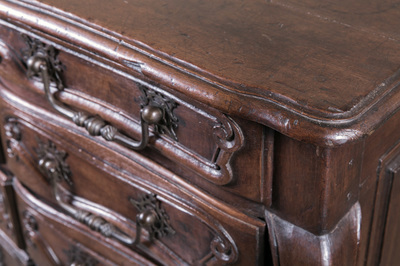 Not only is the front galbe, but the back is as well, making this difficult piece to carve attractive from all angles. 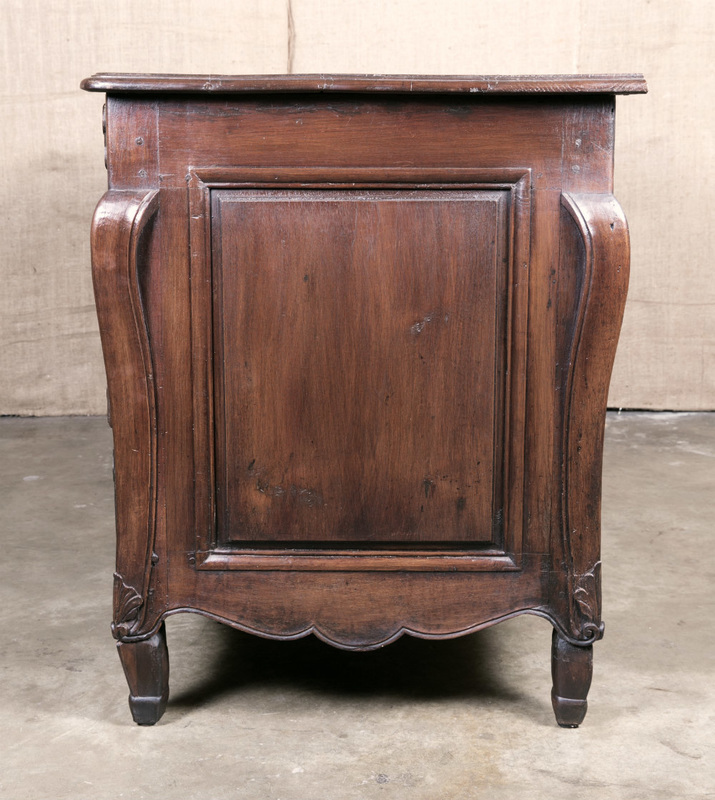 Commodes en arbalete are rare simply because of the exceptional skill needed to carve the shape out of a solid piece of walnut. 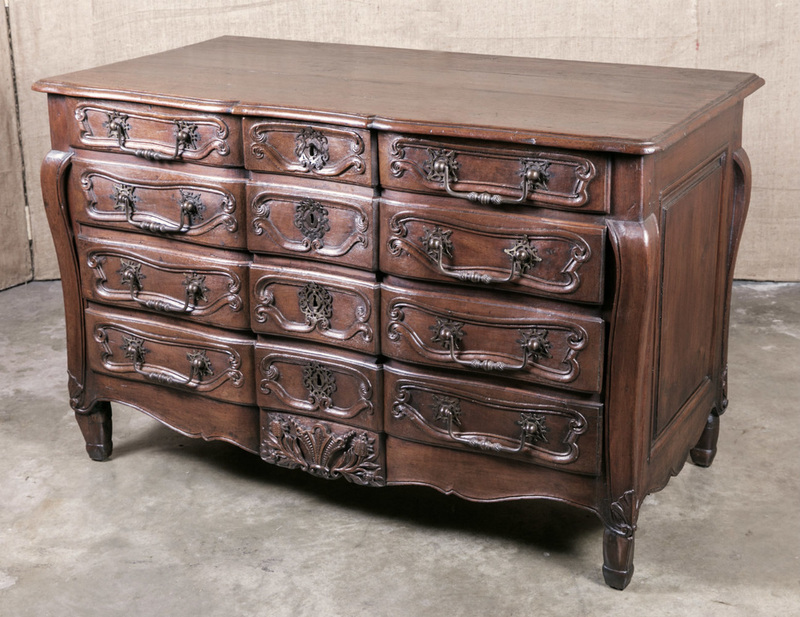 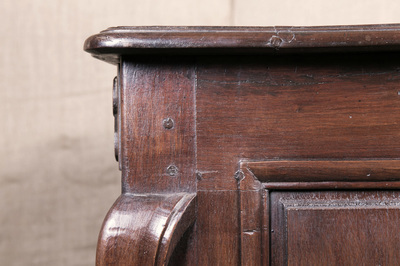 A commode such as this, with both a galbe and arbalete front, is extremely rare and would have been commissioned by only the finest cabinetmaker due to the precision required to line up the raised and indented ridges of the traverse rails with the drawers and the skill required to carve the front and back curves. 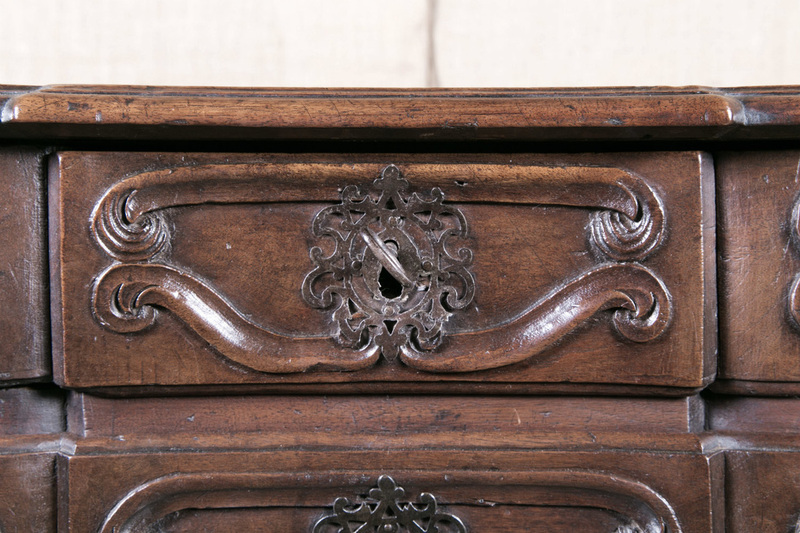 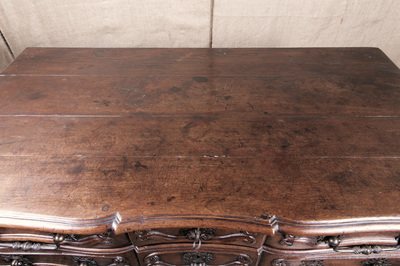 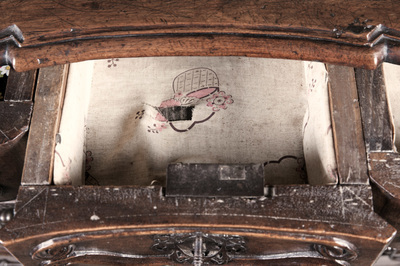 During the 18th century, the French often considered the commode to be the prime piece of furniture in the chateau. 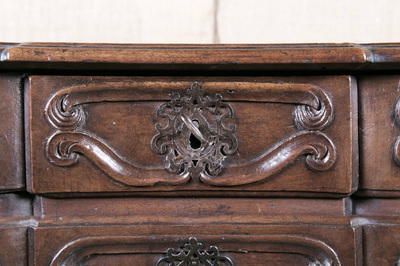 It was often placed as a showpiece in the main room of the chateau.